Microsoft’s new Surface Laptop is shaped up to be Microsoft’s equivalent of the MacBook Air. While I’m not going to say that the Surface Laptop is going to be a MacBook Air killer – because let’s face it, only Apple is capable of killing the MacBook Air – Microsoft seems to have temporarily addressed one of the main issues of the Surface Laptop – that issue being Windows 10S. Until December 31, 2017, anyone who purchases the Microsoft Surface Laptop will be allowed to upgrade from Windows 10 S to Windows 10 Pro for free. Starting next year, it’ll cost you 50$ if you want to upgrade from Windows 10 S, which you probably will. For those of you who did not read last month’s article on the Surface Laptop, allow me to explain why I dislike Windows 10 S so much. Windows 10 S would be a great operating system if you are running an education institution, but otherwise the new operating system’s practicality ends there. Windows 10 S would be great for educators because the operating system only allows users to download applications and other software through the Windows Store, making the device more secure and more likely to be used for intended purposes. If you are trying to install something that isn’t on the Windows Store though, such as the Steam online store or anything on a disc, you’ll either have to buy Windows 10 Home/Pro or get a different laptop. Windows 10 S is designed to be a direct competitor to Google’s Chromebooks, which both run operating systems based around Windows and Android application stores respectively and Microsoft Edge and Google Chrome (also respectively). 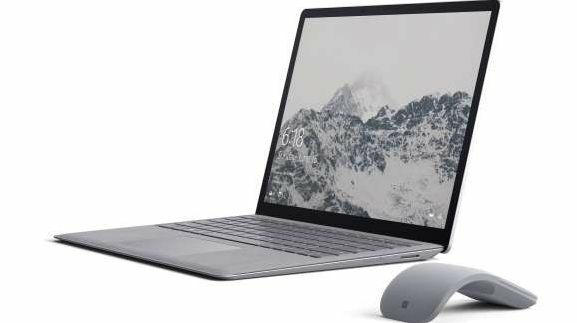 The difference between the Surface Laptop and Chromebooks however is that new Chromebooks are typically in the 400-500 dollar range while a Microsoft Surface Laptop will set you back at least $999. The high price point of the Surface Laptop is probably not sustainable for most college students, unfortunately that is probably the demographic which would most willingly buy this device equipped with Windows 10 S outside of school administrators. For now, buyers of the Microsoft Surface Laptop can upgrade their operating system to Windows 10 Pro for free as long as they do so before December 31, 2017. Although this is only a temporary solution, it will allow early buyers to escape the horrors of the Windows store without having to pay the cost of normal-computing admission tickets.